dating for two entire years, carlos de vil finally realizes that his boyfriend, benjamin florian, has been cheating on him, going with different girls each night. until, he comes over to benjamin's house and sees one of those girls slobbered all over him. immediately ending their long-term relationship, carlos goes off running and letting the tears spill. unexpectedly, he runs into jay williams, a newbie at auradon prep and auradon itself. jay, being cocky and truthfully humorous, helps carlos out to make benjamin see the pain carlos felt. 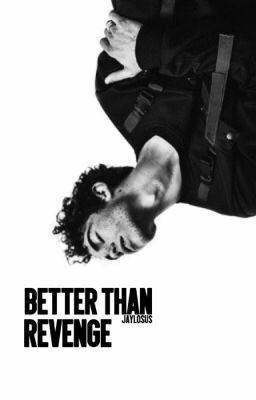 it'll be: better than revenge.